With a magnificent tree decked out resplendently by F&M itself, the luxurious lights upon the 25ft spruce will be switched to illumination by “Guest of Honour”, the BBC’s Strictly Come Dancing Presenter Claudia Winkleman, with all festivities beginning at 6pm (what point fairylights in the daytime, eh?). 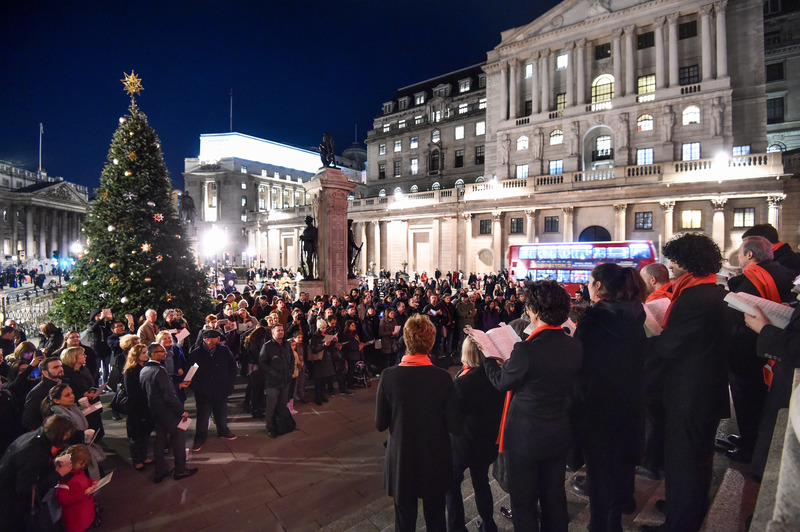 This will include carolling by the East London Chorus, and the serving of complimentary mulled wine, hot chocolate, and minced pies to attendant crowds by F&M’s “iconic red coated staff”. Sounds perfectly fancy and Christmassy to our liking. Bring on the indulgent “seasonal ambience”, please. From there, the crowd is to be invited into REX’s iconic central courtyard for pop-up Christmas shopping and aptly seasonal masterclasses (think wreath-making, for one thing – due to here be taught by well-known London florist Jamie Aston). 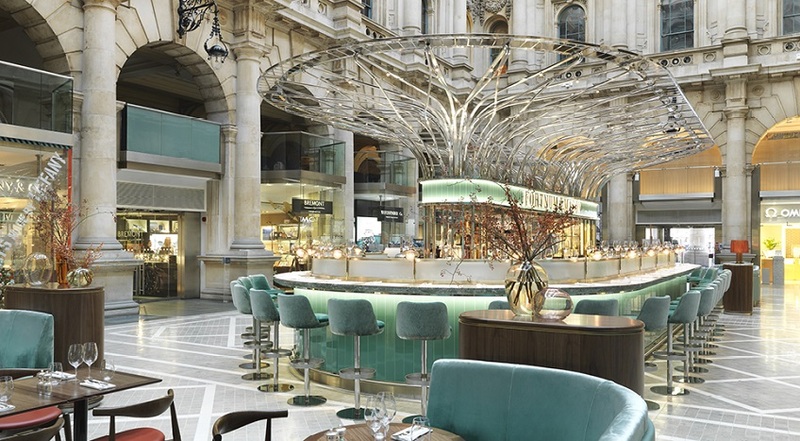 However, the celebration is essentially all about bidding adieu to those establishments of old that had become synonymous with a visit to REX – to The Gallery, to the Grand Café, and to the Threadneedle Bar – welcoming in their stead Fortnum & Masons. Open Monday through Saturday, Grind is your go-to for that morning pick-me-up (whether it be caffeine or a vibrant juice), as well as an after-hours, sneaky-yet-satisfying coffee-infused cocktail, too. Nevertheless, generally within the central courtyard of REX in the weeks to come there will be a rolling schedule of new pop-ups, including Christian Louboutin’s men’s shoes and women’s capsule collection, and leather goods – a product also to be sold by Bucklesbury & More when they, um, pop-up, so to speak. Emma Bunton turns on the Christmas Tree lights at The Royal Exchange in London. PRESS ASSOCIATION Photo. Picture date: Wednesday November 22nd, 2017. Photo credit should read: Matt Crossick/PA Wire. 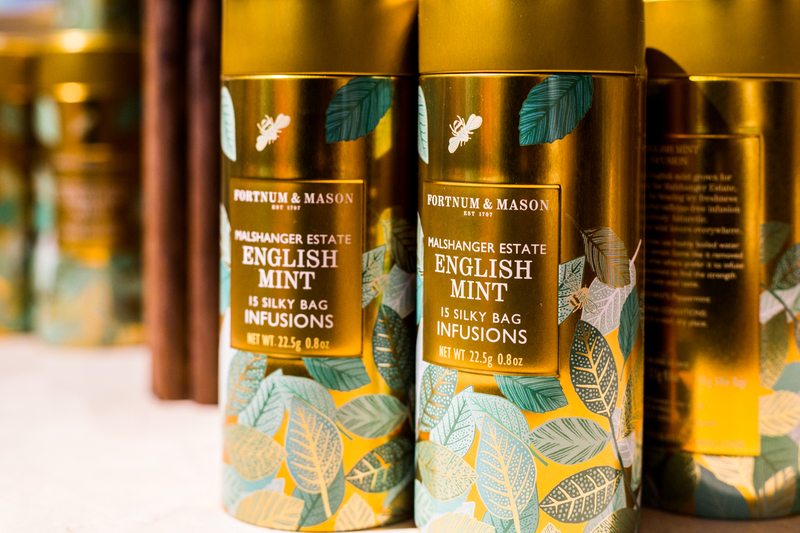 But, of course, the key shopping experience of 21st November lay within the bounds of the evening’s grand opening of the new Fortnum & Masons within REX itself. Whether it be something sparkly from Tiffany & Co., or something more satisfying on a gastronomic level in the form of F&M’s renowned festive hampers, or even something as elegantly simple as divine stationery from Smythsons (if you’re keen on penmanship, you’ll know the beacon of an option for you…) – as ever, F&M offers something quite literally for everyone. That includes corporate shopping, in addition to personal. Tailored gifting services are available from boutiques such as Penhaligon’s, Sage Brown, and Smokers Paradise London – all very old school sounding, but oh so very classically luxurious. Halcyon Days also offers such services for festive gratitude to clients. Self-explanatory. 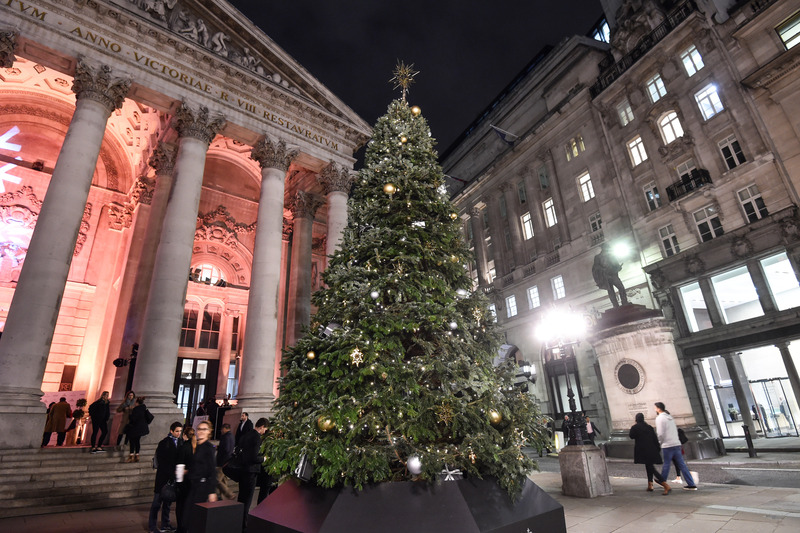 Please note that when you arrive (in time for the 6pm start of it all), it is requested that you gather on the front steps on the western side of the Royal Exchange. With thanks and, of course, optimistically snow-strewn seasonal tidings.